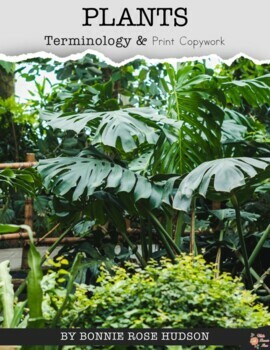 Help students learn the terminology of plants with this print copywork. 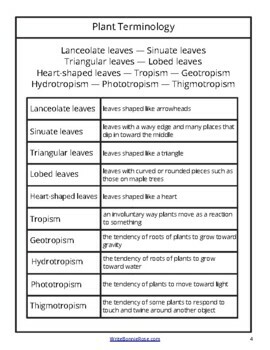 Students copy 60 keywords and their definitions. 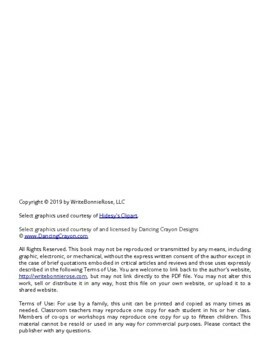 Each copywork page also includes a border with geometric patterns that students can color and use to design patterns if they wish. 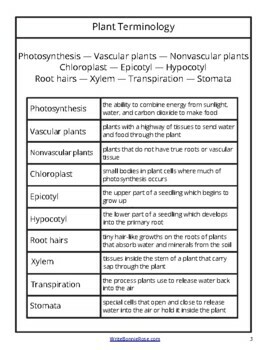 Keywords covered include parts of plants, leaf shapes, tropisms, parts of seeds, and types of roots, and more. Sixty-nine pages total.